I just had to post this picture. 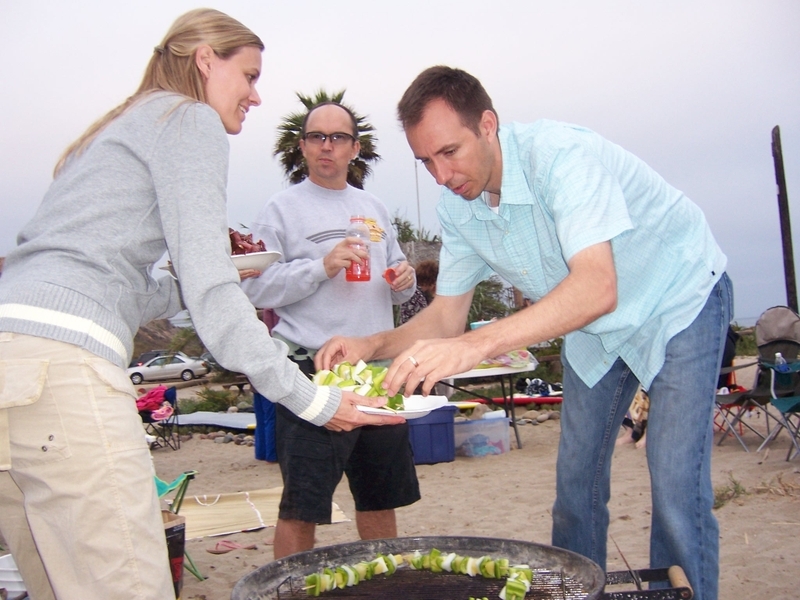 When we were in CA recently, our last night there we had a cookout at San Onofre beach. My sister-in-law, Lori, and her husband and kids meet at this beach every Friday night with some friends from their church. The kids all run around and play in the sand and surf. Some people go surfing. They all bring firewood and fire pits and lots of food to grill. Dan was the cameraman for this picture of his sister, Lori and his brother, David. As he was framing the picture, he noticed Lori's friend, Ross, in the middle of the picture and realized that with a quick adjustment, he could give Ross and really great 'do. When I saw the picture on the camera I just about died laughing.